Our SENCo What are our admission arrangements for children with Disabilities? What does Special Needs actually mean? Who can I explain my child's needs to, or discuss a concern? How will school let me know if they have any concerns about my child's learning? What extra learning support is available to pupils with special educational needs? What does the school do that identifies children's needs early? What are the SEN " Areas of Need"? How does London Meed make sure that it's making a difference for my child? How does my child contribute their views? What are the planning, assessing and reviewing arrangements for my child? Are there specialists school can get in to help them support my child? Who are the school Governors and what do they do? What special support does school have for my child's overall wellbeing? What is a statutory assessment, a statement and an Education Health Care plan? Can my child always be included in activities outside the classroom? My child finds managing change difficult. Can school do anything to help my child? Do staff supporting children with additional needs have special training? 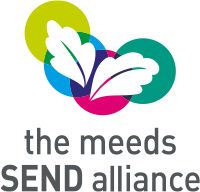 If needed, can the school get hold of special equipment or facilities to support SEND? How can I find out what the Local Education Authority has to offer? Who do I contact if I want to make a comment about special provision in the County? Who do I contact if I want to make a complaint about special provision in the school? London Meed is an inclusive school. We have a Special Support Centre (SSC) as part of our school. So while all pupils are within London Meed there are some pupils who receive special provision within the SSC. This is because it has been decided that their needs are best met by specialist provision. Most pupils attend only the mainstream part of school. There are a number of specialists who can help us: educational psychologist, speech and language therapist, specialist teacher, occupational therapist, physiotherapist, counsellors and others. Such specialists may be called upon to give advice and make assessments of pupils at school as appropriate.